Even when you look after your teeth well, unexpected problems can occur and when it's most inconvenient. Most of us will have experienced nagging toothache at some point in our lives and others will have been unfortunate enough to have damaged or broken a tooth during a sports event or other unforeseen accident. Often these problems arise at the most inconvenient time but you still need emergency dental care quickly to relieve the pain or save your tooth. If you need an emergency dentist in Wickford, Cygnet Dental Practice is here to help. Please call us on 01268733078. 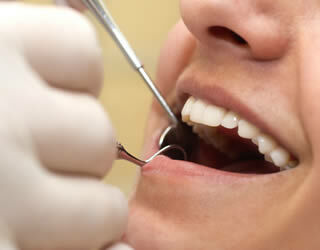 We ask you to call as soon as possible and we will try to see you for same-day treatment. Depending on the problem your are experiencing, we may be able to resolve the problem during your emergency visit. However, if the issue is more complex, we will make you as comfortable as possible and arrange for you to come back to see us to have the treatment completed at the next available appointment. Emergency care is charged at the usual NHS fee if you are eligible or £60 for a private emergency appointment. Our objective is to relieve your toothache or save you damaged tooth as quickly and effectively as we can - so if you need emergency dental treatment in Wickford, please call us as soon as you can.